Two years after the beginning of the construction of the future “new marina Camille Rayon”, the facilities of this new space of Vallauris Golfe -Juan are taking shape. Michel Imbert is attracted by this place, dedicated to nautical leisure, ideally located between Nice and Cannes, close to the islands of Lerins. The restaurant “l’Abri Cotier” opens in 1991, on the pedestrian walkway of the port. 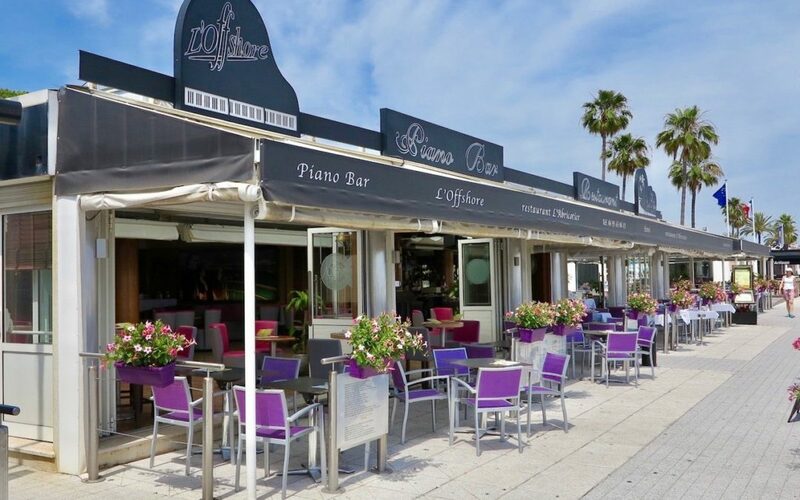 Strengthened by its success, one of the first restaurants of the port will evolve with the times and expend 3 years later with the creation of the piano bar “Offshore”. This bright idea remains pertinent every Friday and Saturday night with the dancing parties, at the beginning of the concept « It was crowed every night and the ambiance was amazing » remembers Christelle longingly. Even there, the economic crisis has left its marks and in order to survive the restaurant and piano bar had to adapt. Today, the restaurant “l’Abri Cotier” and the piano bar “Offshore” remain the key places of the Port Camille Rayon with its home-like atmosphere where everyone car enjoy French traditional cuisine or drink a cocktail with friends or family.